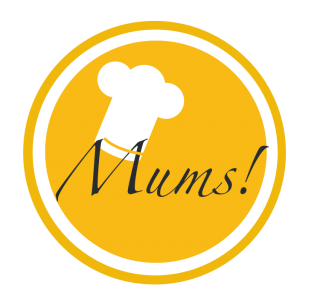 Pork tenderloin • Chanterelle • Apple • Kale • – Mums! Today is my birthday. And yesterday, while I cooked dinner with my husband, he whispered something to my daughter, who immediately left the kitchen only to return a moment later. With three gift wrapped presents. For me. In spite of our no-gift rule. What did I get? A set of culinary precision tongs. Which I lacked and needed right at that moment. What a perfect gift from my sweet, sweet darlings! And what did we cook? Pork tenderloin with apple, chanterelles and kale on a reduction sauce. Pork tenderloin: Fry a pork tenderloin in butter and olive oil seasoned with rosemary and garlic in a medium hot pan until brown. Salt and transfer to the oven. Cook until the internal temperature reaches 65°C. Reduction sauce: Add red wine, tomato purée, mustard, black aceto balsamico and honey to the frying fat. Simmer until the consistent is thickish. Kale: Drizzle kale with olive oil and fleur de sel and toast in 180°C until crisp. It won’t take long. Chanterelles: Sauté chanterelles and taste with butter, lemon and fleur de sel. Apple: Shortly simmer diced tart apples in a splash of white wine. Assembly: With a precision tong, carefully place apple, mushrooms and kale on top of the sauce next to the meat. Decorate with cornflower blossom. I grew up on a pig farm: loving this pork tenderloin recipe. Beautiful.